With pens still hovering over the Addis Ababa Action Plan, the outcome agreement for the Third International Conference on Financing for Development (FfD3), there is already a sense that for all the recent talk at the UN about ambition and transformation, it is falling short. For a financing document, the Action Plan includes an impressive number of references to issues at the core of sustainable and inclusive development, like social protection, essential services, decent work for all and sustainable industrialization. There are multiple references to consumption and production, a rebalancing of which, among the rich and the poor, will determine the future of our world. But how do we get there? The Action Plan has very little in the way of concrete steps and deliverables. It spends a lot of time encouraging and incentivizing, and circling around inherent contradictions. Rather than aiming high, it sets a low bar, perhaps in anticipation of leaving room to maneuver towards the Paris climate change summit at the end of the year. For some observers, this may fit the narrative of UN negotiations as being of diminishing relevance, since they do not do enough to take on weighty issues in the real world that, like debt, trade and private sector activities, have profound impacts on people’s lives. That’s all true. But on another level, deliberations like those at FfD3 very accurately mirror what’s going on in the world today—in terms of the balance of power. For all the rhetoric about leaving no one behind in the post-2015 world, the reality is not about using UN agreements to advance global justice, but about minimizing disturbances of the status quo—which accepts leaving people behind as an inevitable tradeoff. While there is often a temptation to argue that “at least the line was held” or “it could be worse,” the challenges in the world today exceed any justification for the retreat from ambition. With growing inequalities and a planet in crisis, we have run out of time–and we should have run out of tolerance—for tinkering. Looking beyond particular issues in the agreement, it can be useful to consider some of the assumptions that underpin them. Is the assumption behind the strong emphasis on blended or private sources of finance that the public sector is inherently unreliable or less than fully trustworthy, even though blended and similar instruments have relatively little evidence to support their efficacy? Instead of jumping through hoops to work with corporations with incentive structures that focus more on individual profits than collective well-being, why not just tax them adequately and use the money for social protection, essential services for all and so on? The UK’s Department for International Development (DfID), for one, has championed partnerships with the private sector as an “engine for growth.” Its financing of private sector firms has skyrocketed to an estimated £580 million pounds, up from £68m in 2012. Yet a recent report by the Independent Commission for Aid Impact gave the watchdog group’s second worst rating to DfID’s work with businesses, noting that much of it has taken place without much focus on targets or specific benefits for people living in poverty. Most of the document’s references to rights concern property, labour, women, children, migration and trafficking. All valid—and important references in a financing agreement that might in the past have considered rights references as less relevant. But why are there no rights associated with trade and debt? Do these have no implications for the rights of workers, women, children, migrants and so on? Many assumptions are made about existing institutions and systems as adequate platforms on which to base financing for the future. The International Monetary Fund, for example, remains integral to an international financial safety net, despite its less than stellar record in the 2008 global financial crisis. It is asked to take steps such as strengthening analytical tools for sovereign debt management and improving early warning of macroeconomic and financial risks. Developing countries, especially the poorest, are to be assisted in developing capacities to benefit from opportunities in international trade and investment treaties, despite all the evidence that these do not fundamentally work in their favour. What would it mean instead to help these countries develop capacities to question, shape and negotiate/renegotiate treaties with clear benefits in terms of sustainable development and human rights? At its very beginning, the Action Plan makes a promising start by committing to policy coherence and an enabling environment for sustainable development. But coherent for what and for whom? One reference is clear on this: “We will continue to strengthen international coordination and policy coherence to enhance global financial and macroeconomic stability.” Stability, while sound in theory, in practice has often been defined—by powerful international institutions—in a manner that ends up to stripping people of jobs and services. Is that coherent with sustainable development? With human rights? The calls for inclusive and sustainable industrialization and promoting small and medium enterprises are good elements. Yet is this coherent with current trade rules, which have done much to block the process of restructuring economies, and to prevent new industries and businesses to emerge and move up global value chains? Trade and investment language has very little to say on what one forthcoming UN report refers to as a spaghetti bowl of bilateral and other agreements deliberately being used by some rich countries to keep themselves high on global value chains, while corporations deploy dispute mechanisms to, for example, shut down the kinds of national industrial policy that allowed the Asian economic “miracles” to happen. Might more “miracles” undercut the steady supply of cheap labour and raw materials on which consumption by the rich everywhere has come to depend? The references to the United Nations throughout the Action Plan are encouraging, if mixed. 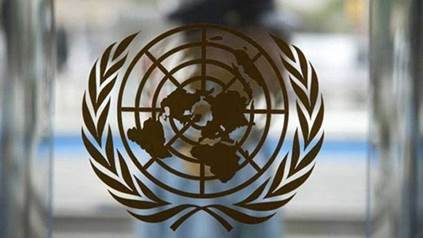 The UN, often sidelined in global economic governance—despite being the only multilateral forum that is universally owned and mandated to uphold internationally agreed principles including human rights—is called to the table on issues such as combatting illicit financial flows, continuing work on standards for credit ratings agencies and coordinating activities related to international trade law. The Action Plan “takes note” of UNCTAD’s principles on responsible sovereign lending and borrowing—if in lower case letters to denote the more diffuse area of work rather than the principles themselves. But real “empowerment,” as it were, remains with the powerful, including the international financial institutions—and not just in traditional economic arenas. For example, the Action Plan gives the Global Financing Facility (GFF), housed at the World Bank, a key role on health issues, as reported in a recent Global Policy Watch. It is being cited as a model for SDG implementation. The GFF’s working group comprises some UN agencies, as well as twice as many northern as southern governments. All foundations and NGOs involved are from the United States and United Kingdom. Does that pattern bode well for the future? And there is the Bank itself. An independent evaluation of its support for public-private partnerships found that these tended to measure success as profitability, with lesser consideration for social and other safeguards. Or, as one Bank insider confirmed in the case of Tunisia, the Bank was content to lend money before its recent revolution, even knowing that corruption and human rights violations had reached horrific proportions, because the returns were consistently good. One of the final sticking points in negotiating the Addis Action Plan involved scaling up the current UN expert body on taxation to a more powerful UN commission. Most countries agree that international tax cooperation is a good idea, but rich countries fought hard against the idea of doing it within the UN, preferring business as usual at the OECD and the IMF. In a side event during the June negotiations, a rich country delegate acknowledged that his government would never go for a commission, because the UN already has too many, it would cost more money, and besides, if the commission became a really robust review mechanism, countries would drop out, as has happened with climate change. Tax avoidance is now an issue of global proportions. Many countries cannot effectively tax the hugely wealthy transnational corporations that operate within their borders. As stated in the recent report by the Independent Commission for the Reform of International Corporate Taxation (ICRICT), half of global trade now occurs within related corporate structures, a strategy companies use in part to avoid taxation. In the Action Plan, three OECD initiatives are singled out in talking about international tax cooperation, despite the fact that its members include some of the world’s foremost tax havens and are home to most of the largest tax-avoiding transnationals. The fox appears not only to be in the hen house, as the saying goes, but also to own it, to set all the rules and to oversee compliance. What does it mean for the Action Plan to then also promise to “make sure that all companies, including multinationals, pay taxes to the governments of countries where economic activity occurs and value is created, in accordance with national and international laws and policies?” How likely is that to happen, particularly with the amount of corporate money now flooding some political systems? The Action Plan as a whole gives the private sector a major pass, continuing the tradition from earlier FfD rounds. It suggests “regulatory frameworks to better align private sector incentives with public goals,” but this is to be done through incentives, without specifying that these probably need to involve consistent legal requirements backed by stringent enforcement that, at least in the past, have had the most notable impact on shifting corporate behaviour. As it stands, current profitability perspectives are too short-term for change to reliably work any other way. Within a single paragraph, the Action Plan mentions international labour standards and the UN Guiding Principles on Business and Human Rights, both positives, but then also fits in the UN Global Compact, widely viewed as an example of how the UN has allowed itself to be used for corporate publicity objectives, with minimal, if any, meaningful changes in behaviour. A call for increased transparency and accountability for private philanthropic organizations is nice, but how, exactly? And why just “encourage” philanthropic donors to manage in some cases billion-dollar endowments through impact investing that takes social and environmental considerations on board? Since many benefit from special tax provisions, why not require them to do this? How much policy coherence is involved if a foundation can fund health programmes on one hand, and invest in a global conglomerate producing products undercutting rural livelihoods (while avoiding taxes) on the other? Who’s Calling for Real Change? Interestingly, while the current power configuration seeks to maintain its vice-like grip, an end-run around the blockage to progress has gathered momentum, although it is happening in fits and starts, and with no guarantees. Witness the creation of the new Chinese-led Asian Infrastructure Investment Bank and the staunch opposition by some rich countries, even as others opted to sign up. Or Greece putting debt relief to a public referendum beyond the sole purview of a handful of rich creditors—a move endorsed by UN human rights experts. They pointed out that not only are debt repayment obligations at stake, but so are respect for human rights, human dignity, equality and solidarity, all foundational principles of the European Union. A court in the Netherlands, based on a suit by a climate change NGO, set a new precedent by drawing a link between poor domestic emissions reduction policy and climate damages, and requiring the state to achieve scaled-up emissions targets. In Indonesia, a court annulled water privatization because excessive price increases would violate of people’s rights to water. And the Pope condemned carbon trading as part of the same market mentality that led to climate change in the first place. Around the world, some forms of insecurity could be read as protests against a world order viewed as unfair. Upholding the “rule of law” has become an increasingly common refrain, yet better laws, court systems and the like will only go so far as long as the root causes of injustice remain, and as long as the rule of law is applied primarily to individual countries, and not to all the activities that cut across them and deepen inequities. Inside the UN, during the last round of FfD3 negotiations, as rich countries attempted to join forces around removing a reference to the Framework Convention on Tobacco Control, which has been endorsed by nearly every country, a delegate from a small Pacific country took the floor with an informed and impassioned plea. He reminded delegates that the same conversations had already taken place to negotiate the convention, that tobacco use has a profound impact on health and national health care costs, and that this was about the lowest-hanging fruit around. His willingness to take such a visible stand required determination. The powerful US Chamber of Commerce is not only a regular contributor in UN “partnership” forums, but also among the last remaining supporters of selling tobacco products outside the industry itself. The United States is one of only a couple of countries that have not signed the convention. One reason for optimism in both FfD3 and post-2015—beyond the fact that the latter really will be transformative if implemented the way it has been intended—has been the consistent call by developing countries to apply the principle of common but differentiated responsibility. 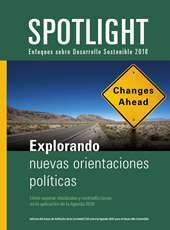 Rich countries accept this principle on environmental issues, but no further, arguing that the world has moved on since the principle was agreed at the Rio conference more than two decades ago, that there is more wealth in more countries, and that the old colonial era divides no longer hold. We are all now universally responsible. But the new wealth remains concentrated in relatively few hands, and it will be states who bear the primary responsibility for financing development. Even countries with now thriving economies face disproportionately large numbers of people whose basic needs and essential services are not being met. Legal systems often define equality as treating equally those who are similarly situated, and treating differently those who are differently situated. So, either the world is already equal, or we have to respond to its differences. Since the first case is clearly impossible to make—and, interestingly, is never made in terms of the UN Security Council or global economic governance, at least by those who control these and are selectively willing to assume “differentiated responsibility”—only the second case remains. Responding to current differences requires all efforts to balance needs and responsibilities, and to factor in often big gaps in capabilities—in other words, common but differentiated responsibility. This principle is fundamental to any notion of global partnership, and should be applied on both international and national levels. Without common but differentiated responsibility, in the context of FfD3, universal “responsibility” essentially gives rich countries an exit from financing commitments. But so far, this does not also involve a retreat from dominance of trade, debt and international economic governance rules and forums that undercut the abilities of developing countries to develop and become “responsible” on the same level. Up until almost its final draft, the Action Plan ended with a dismaying penultimate paragraph that the agreement does not “create rights or obligations under international law.” UN agreements, no matter how critical their concerns, cannot work without a spirit of common commitment and solidarity. Undermine that, and we are left with a world with even less responsibility and ever deepening divides. Next story Why is the “North” shying away from global collaboration on tax?